The RIAA labels, including Universal, Warner Bros, and Sony, clearly disagreed. In response, they argued that the operator of FLVTO.biz and 2conv.com downplays the connections to the US and Virginia. Therefore, he should stand trial there. 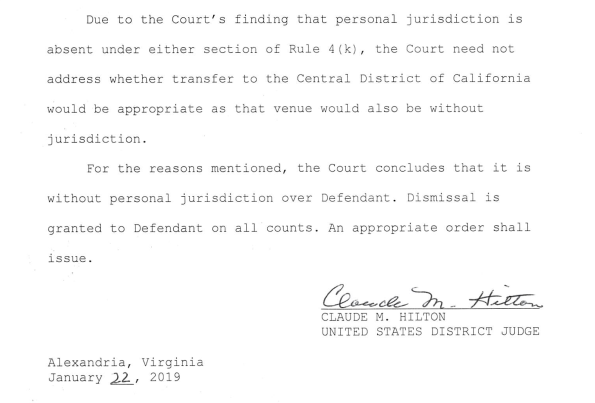 Yesterday, US District Court Judge Claude M. Hilton ruled on the matter. 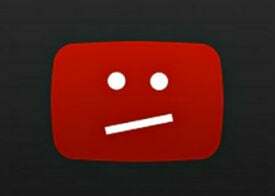 In a 14-page opinion, he clearly sides with the operator of the YouTube rippers. Kurbanov doesn’t have to stand trial in the US so the case was dismissed. The ruling is merely about jurisdiction and doesn’t make an assessment of the alleged copyright infringements. The court carefully reviewed how the site operates and found no evidence that they purposefully targeted either Virginia or the United States. The sites are available in the US and have plenty of visitors there, but that by itself is not enough. “As the Websites are semi-interactive, the interactions with the users are non-commercial, and there were no other acts by the Defendant that would demonstrate purposeful targeting, the Court finds that Defendant did not purposefully avail himself of the benefits and protections of either Virginia or the United States. “The Court finds that exercise of personal jurisdiction over Defendant would be unconstitutional as a violation of due process…” Judge Hilton’s opinion adds, before dismissing the case. In addition, the opinion stresses that without personal jurisdiction the record labels don’t have the option to refile the case in California or elsewhere in the US. Val Gurvits, one of the attorneys who represented the site operator, is thrilled with the outcome. He believes this will also be beneficial to other foreign sites that offer similar functionality. “This decision goes a long way towards curbing the copyright owners’ misuse of the US legal system to bully foreign website operators,” Gurvits informs TorrentFreak. In many copyright-related cases, foreign defendants decide not to appear at all, but this case shows that fighting back can pay off. “All too often plaintiffs file actions in US courts against foreign defendants that have no connections with the US – and all too often foreign defendants are subjected to default judgments for failure to appear in a US court,” Gurvits says. “We are happy we were able to save our client from having to defend this action in a US court thousands of miles away from where the relevant business activities take place,” he adds. The major record labels have yet to comment on the outcome. TorrentFreak reached out to the RIAA for a response, but we haven’t heard back thus far. A copy of the memorandum opinion supporting the dismissal is available here (pdf).